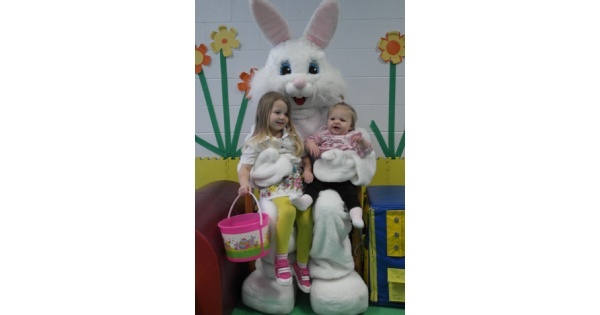 Easter Egg hunt and Playtime at the Washington Township Rec Center. The Easter Bunny is coming to the Rec Center! The Hunt begins for hidden eggs in the gym that will be redeemed for prizes. Little ones will also have the chance to play on our preschool gym equipment. Friday, April 19, from 10 - 11:30 am OR 12:30 - 2pm. Easter Bunny, Prizes and Snack. $8.00 per child, free for adults. Bring a basket to collect eggs. Purchase tickets at the Rec Center soon. Limited number of tickets! Find more events like "Easter Egg & Play"